When you combine a century of truck building know-how with 7 million miles of testing, you don’t just get any old truck. You get one that’s bigger, stronger and lighter than the previous generation. One that offers you more choices so you can get the capability you need. 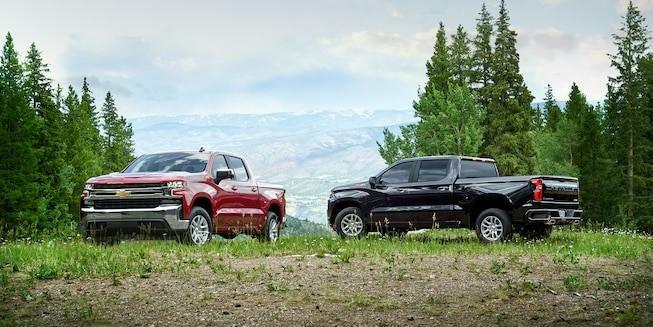 One that’s built on the legacy of the most dependable, longest-lasting full-sized pickups on the road†. You get a Silverado. 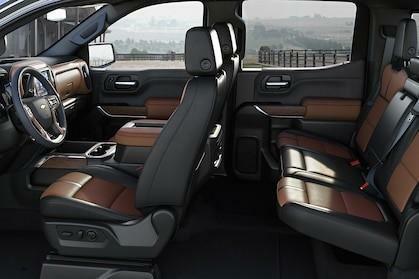 We took the hardest-working part of the truck and redesigned it to be lighter, larger and stronger. 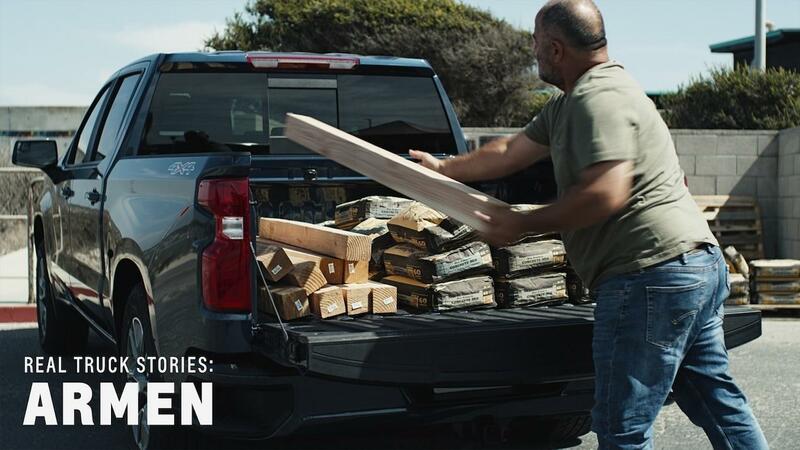 Durabed combines high-strength roll-formed steel, best-in-class cargo box volume and 12 standard tie-downs — three times more than any competitor† — with innovative features like an available industry-first Power Up/Down tailgate to offer the most functional bed of any pickup†. Up to 20% more cargo volume than the competition. Offers more cargo volume in the short box than the competitions standard box. From hands-free calling and texting to turning your truck into a mobile 4G Wi-Fi®† hotspot, Silverado offers the technology you need to stay connected from the jobsite to the campsite. *Safety or driver assistance features are no substitute for the driver's responsibility to operate the vehicle in a safe manner. The driver should remain attentive to traffic, surroundings and road conditions at all times. Visibility, weather and road conditions may affect feature performance. Read the vehicle Owner's Manual for more important feature limitations and information. If the vehicle is traveling at a low speed and the available system detects that a front-end collision situation is imminent while following a detected vehicle and the driver has not already applied the brakes, the system can automatically apply the brakes to help reduce the collision's severity. The system may even help avoid the collision at very low speeds. If the available system detects that a pedestrian is directly ahead and the driver has not already applied the brakes, the system can alert the driver and may even automatically apply the brakes to help the driver avoid or reduce the harm caused by collision. Performance is limited at night. If this available system detects that a front-end collision situation is imminent while following a detected vehicles, the system can alert the driver if the driver is following a detected vehicle much too closely. When in Reverse, this available feature can provide alerts to help the driver avoid crashing into approaching detected left or right cross traffic (e.g., out of a crowded parking space or a driveway with side obstructions). This available feature can provide the driver with the following time to a moving vehicle detected in front of them to help them know if they are following too closely. This available feature can provide side-mirror alerts to help the driver avoid colliding with a moving vehicle detected in their side blind zone or a vehicle that is rapidly approaching their side blind zone during a lane-change maneuver. This available technology allows the rearview mirror surface to double as a video screen, providing the driver with a wider, less obstructed field of view behind the vehicle when compared to a traditional mirror. 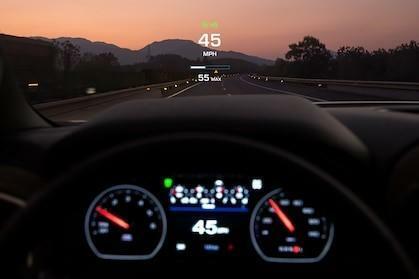 Below 5 mph, this available feature can provide distance-to-object alerts to help the driver and collisions with nearby detected objects directly ahead or behind the vehicle during low-speed maneuvering. 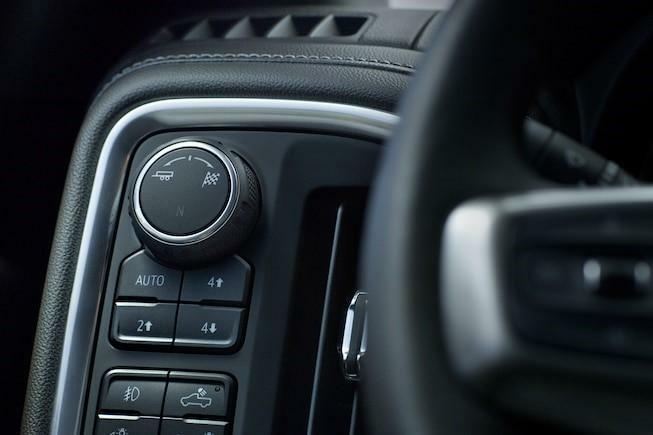 If you unintentionally drift from your lane without using your turn signal, available Lane Keep Assist with Lane Departure Warning can provide gentle steering wheel turns to help guide the vehicle back into the lane if you don't take action. It can also provide departure alerts when detected lane markings are crossed. 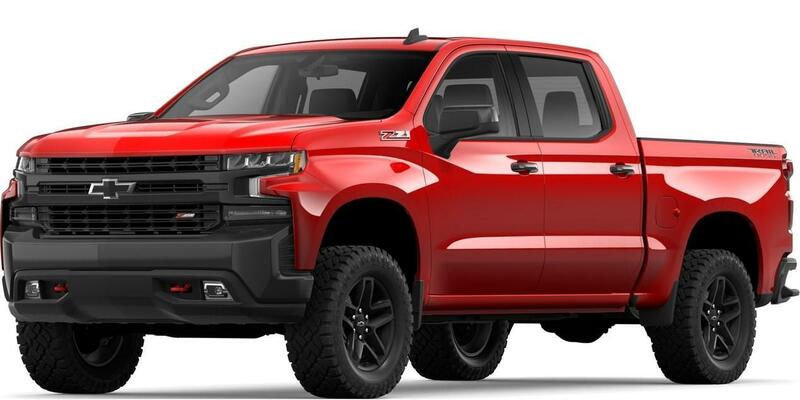 When you’re building the strongest Silverado ever, you don’t do it in any old plant. 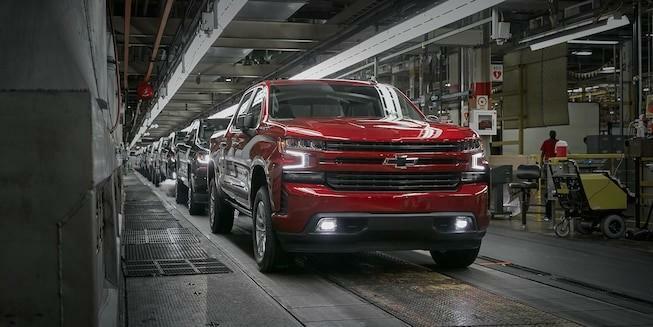 You build it out of globally sourced parts at the award-winning Fort Wayne Assembly Plant, where a world-class team uses state-of-the-art technology to ensure that every truck that rolls off the line is worthy of the name Silverado. †With available 6.2L EcoTec3 V8 engine. 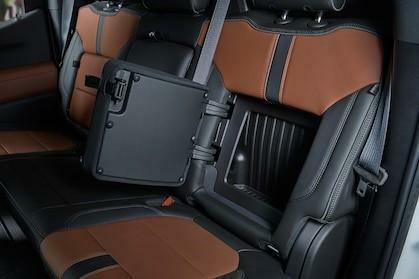 †Class is half-ton full-size pickups. †Available Drive Modes dependent on model. †Vehicle user interface is a product of Google and its terms and privacy statements apply. Requires the Android Auto app on Google Play and an Android compatible smartphone running Android 5.0 Lollipop or higher. Data plan rates apply. Android, Android Auto, Google, Google Play and other marks are trademarks of Google LLC. †Receive 1 month or 3 GB of 4G LTE Wi-Fi Hotspot data (whichever comes first). Service varies with conditions and location. Requires active connected service. See onstar.com for details and limitations. †Requires compatible Apple or Android device and data connection. Remote Services require paid plan. †Limitations apply. 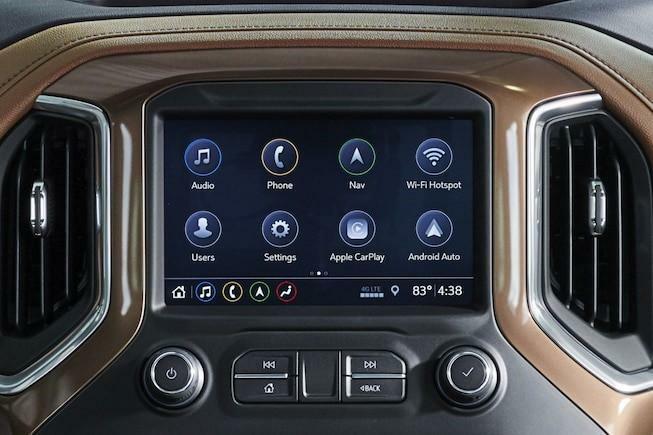 Eligible model year 2011 or newer Chevrolet vehicles may be eligible for standard connectivity for a limited time to access available connected vehicle services. See onstar.com for details and further plan limitations. Connected Access does not include emergency or security services. Availability and additional services enabled by Connected Access are subject to change. 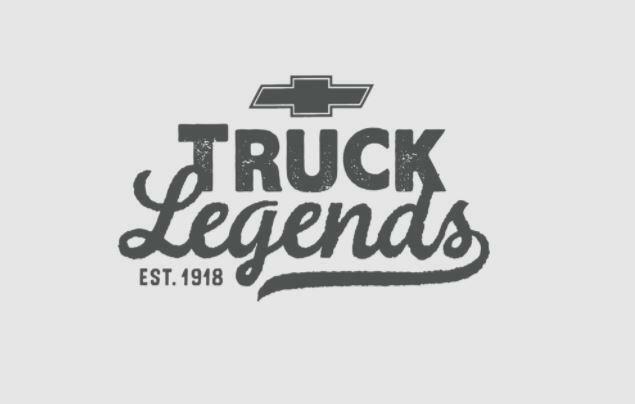 †The following trucks are eligible for Chevy Truck Legends: Avalanche, C/K Pickup, Colorado, S-10, Silverado, Silverado HD, Suburban and Tahoe. Based on $51,700.00 MSRP. Must be a current owner of a 2005 model year or newer non-GM vehicle for at least 30 days prior to the new vehicle sale. Must finance with GM Financial. Some customers may not qualify. Not available with special financing, lease and some other offers. Take new retail delivery by 04/30/2019. See participating dealer for details. Must be a current lessee of a 2014 model year or newer non-GM vehicle for at least 30 days prior to the new vehicle sale. Customer remains responsible for current lease payments. Example based on national average vehicle selling price. Each dealer sets its own price. Your payments may vary. 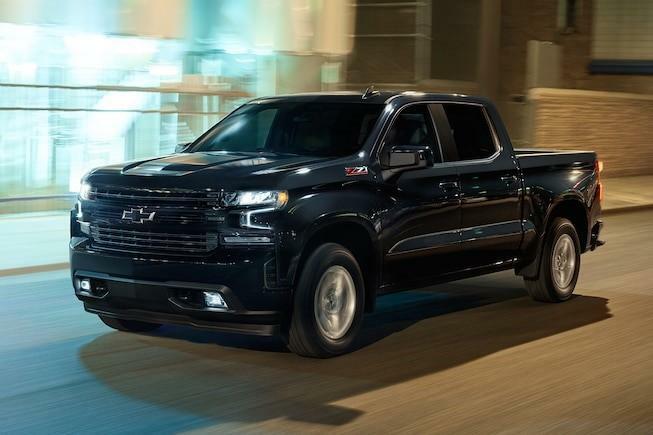 Payments are for a All-New 2019 Silverado Double Cab LT 4WD All Star V8 Engine with an MSRP of $45,405. 36 monthly payments total $11,122.20. Total lease cost is $15,002.20. Lease based on net capitalized cost of $36,004.75 including down payment of $3,880.00 and $3,900 in applied incentives. Payments may be higher in some states. Option to purchase at lease end for an amount to be determined at lease signing. GM Financial must approve lease. Lessee pays for maintenance, excess wear and a disposition fee of $395 or less at end of lease. Not available with lease and some other offers. Residential restrictions apply. Take new retail delivery by 04/30/2019. See dealer for details.